Socialcam: An Instagram for Video? Judging by its more than 50 million users and the fact that Facebook recently acquired the company for $1 billion, it's pretty safe to say that Instagram is one of the most popular photo-sharing apps to date. But what about mobile users who want to capture and share video? Enter the hotness: Socialcam. In many ways, the app — made by San Francisco start-up Justin.tv — operates like Instagram for video. Once you download the app from Apple's App Store or Google's Android Market, you can sign up using your Facebook account to start recording and sharing. Choose from nine different lens filters — including the '70s, electronica and grunge — to give your video a new look. Users can then edit video, adding a theme and music as well. Add hashtags to your handiwork; post to Facebook, Twitter, YouTube, Posterous, Tumblr or Dropbox; and you're all set! You can also share videos via email or SMS. There is no limit to how long your clip can be. Even if you have video clips already saved on your phone, the app allows you to add them, too. The videos get uploaded to Socialcam servers and are shared from there. Plus, there is the ability to comment and share, as well as "like" and follow friends who also use the app. Overall, I think Socialcam is pretty cool and has an opportunity to be just as popular as Instagram. 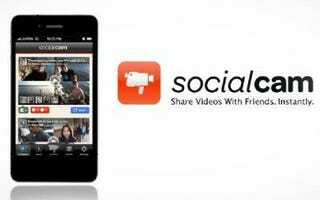 Socialcam is free for the iPhone and Android, so download it, check it out for yourself and let us know what you think!